Finally the day is approaching! We leave on Saturday! ‘Leave’ – such a great word. I have so much I want to leave behind. So many feelings and hurts which I try to suppress and forget, but which creep out silently on clawed feet to haunt me at night. Sweaty nightmares and unshed tears apart, escapism is all very well, but is it enough? At the moment I’m re-reading ‘Miss Peregrine’s Home for Peculiar Children’ (read previous post). It’s almost done actually, so ‘Hollow City’, its sequel, comes next. There are three masterpieces by Neil Gaiman which, again, I’m re-reading for the second time just because I miss Neil I guess hehe. Also Ireland, full of Celtic Gods, faeries, seelie myths and history, puts me in a Gaiman kind of mood. Next comes a find from a second-hand bookstore, James Herbert’s ‘The Ghosts of Sleath’ which is basically a haunting horror mystery taking place in a small mysterious British town. 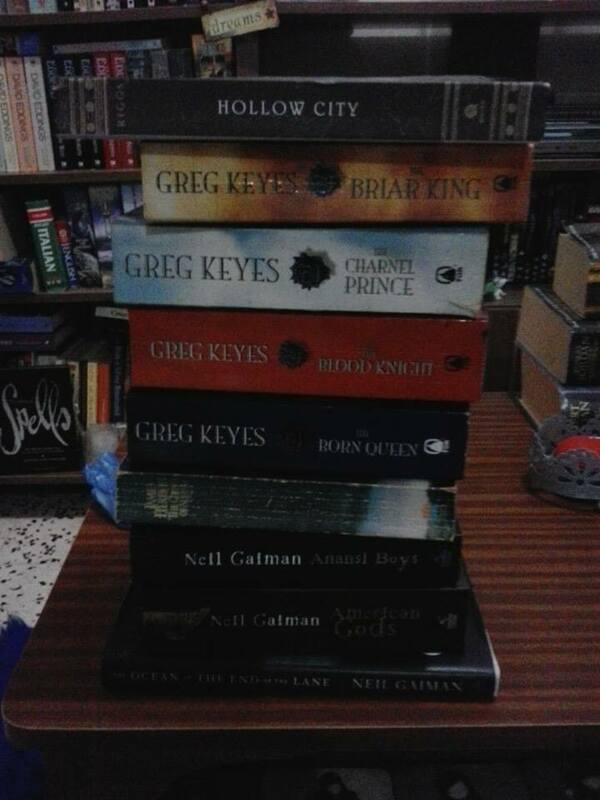 And to round up, there’s Greg Keyes’ ‘Kingdoms of Bones and Thorn’ quartet. Through the beautifully crafted plot and characters, the one which shines in my estimation and the reason why I’m lugging these books along to Ireland, is the Briar King. 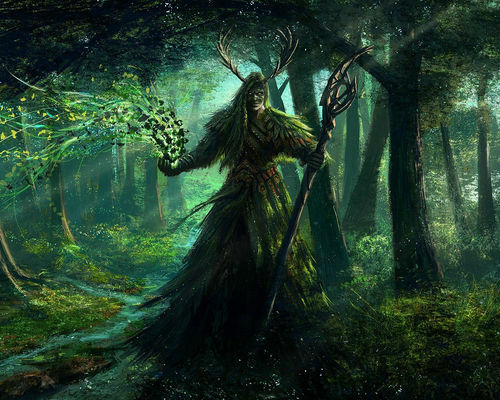 God of the Forest, reminiscent of Cernunnos, and the Green Man, and personification of the power of mighty wisdom encapsulated within the earth, this character fascinates and grips me so totally that I wanted to experience it in a country which I associate with the beauty of nature so much.